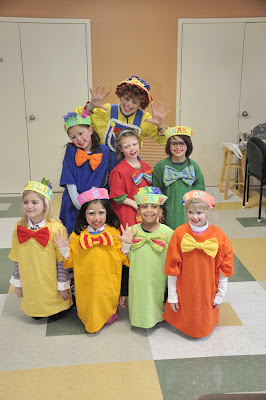 GSCSNJ Blog Space: Clowning Around! Daisy Girl Scout Troop 70888 loves to clown around! They shared their clowning with the residents of Saint James Village, an independent living senior apartment complex in East Windsor. The girls enjoyed presenting the show and the residents loved watching the girls perform! The show included magic, skits, stunts, music, dance and lots of fun for the Daisy Girl Scouts and their audience.